We keep our finger on the pulse of how well we are serving our customers, meeting their expectations, and fulfilling our mission. 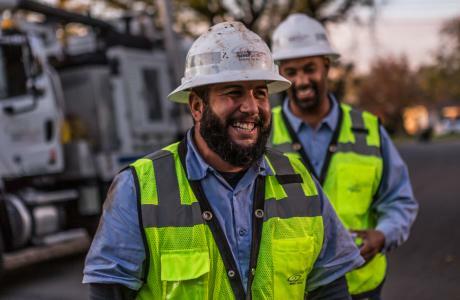 In talking with our customers and stakeholders, we have identified seven core service levels that are particularly important to—and clearly affect—our customers. 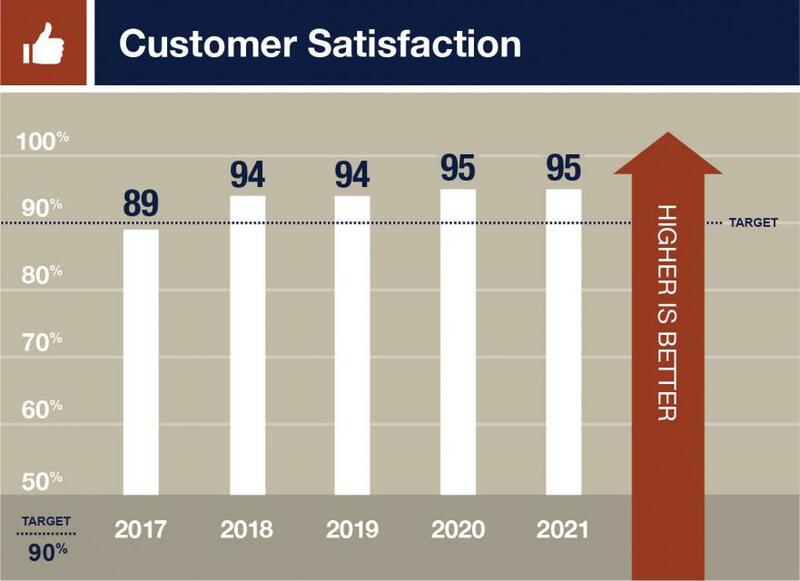 Simply put, these levels measure the aspects of our service that customers care about most. 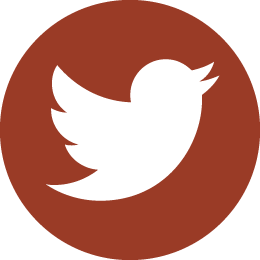 What is a Service Level? 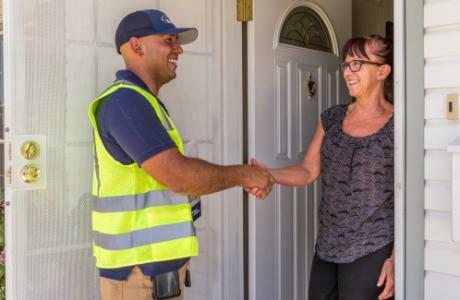 Our service levels demonstrate the quality of service our customers receive as a result of their monthly sewer rate payment. 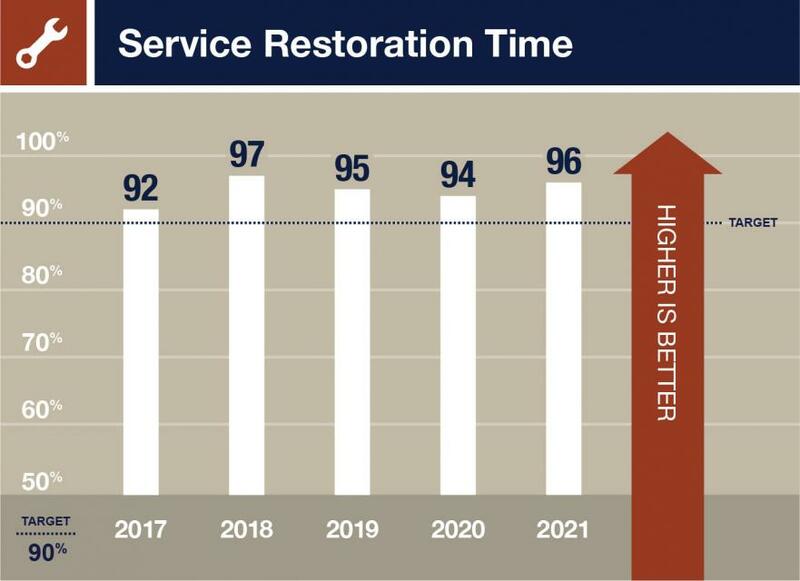 Service levels are also an indication of how successful our Sewer System Management Plan (SSMP) is. Think of a service level as a performance goal and our commitment to you. 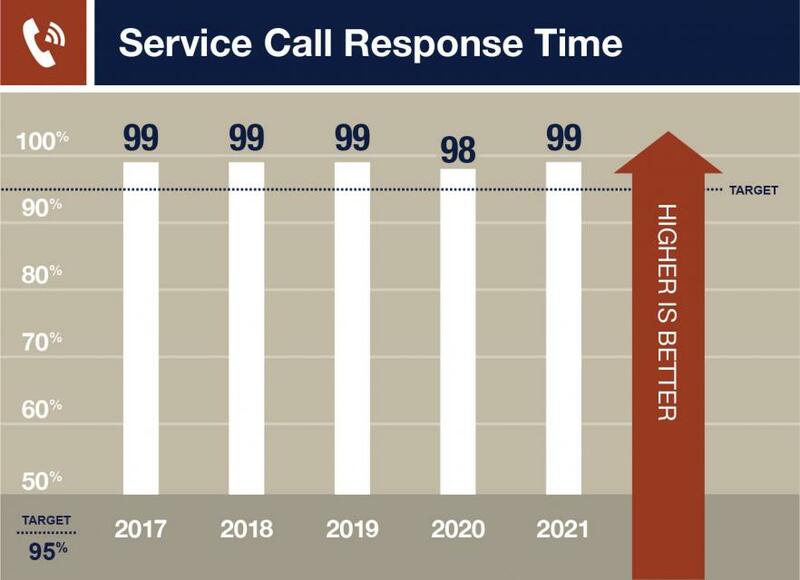 For example, SASD has a goal of responding to customer service calls within two hours for 95% of the calls received. Achieving this goal is one way SASD works toward effectively accomplishing our important mission and vision. To see how we are measuring up, check out our most current report card. 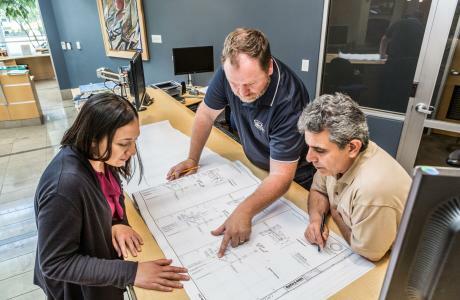 To provide the best overall service to you, our performance is graded annually so we may make necessary adjustments to resources, equipment, and processes to maintain balance amount our service levels. This report card provides an overview of our established service levels and demonstrates that we met or exceeded seven of seven targets in 2018. Measures the percentage of on-time arrivals to a customer service request call. SASD staff will arrive onsite within two hours of a customer service request call for 95% of all service calls occurring within any calendar month. Measures the percentage of customers whose sewer service is restored within the on-time window with no sewer use limitation for the customer. SASD staff will restore service within four hours of receipt of the customer call for 90% of all service interruptions occurring within any calendar month. The on-time window is extended to six hours when excavation of the lower lateral is needed. Measures the customer service provided to the development community. 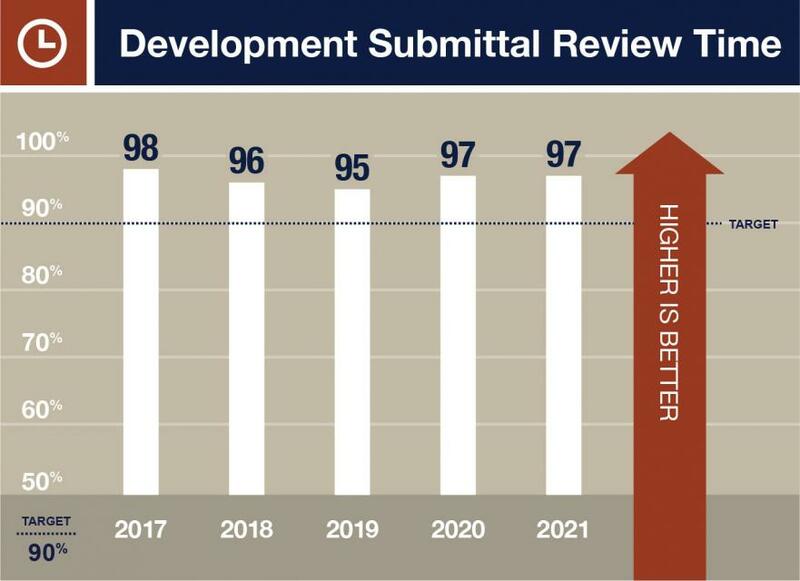 This service level refers to the percent of development applications, improvement plans, and sewer study submittals that are reviewed and returned to the developer within the time standards established. 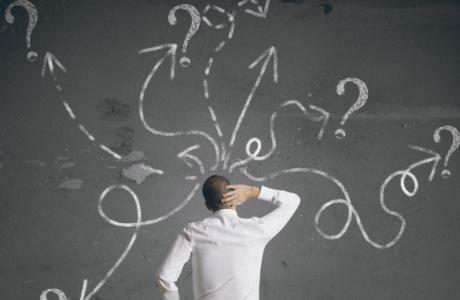 Indicates the percent of positive responses from customers via an anonymous survey. 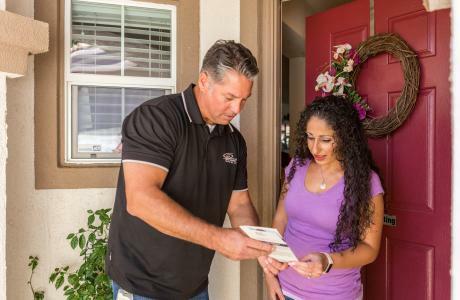 After a service call, SASD contacts each customer asking them to rate the overall quality of the service provided. Target: 90% of those responding rate the service they received as good or excellent. A set value of 0.64 events per 10,000 connections to our system. This target reduces each year. 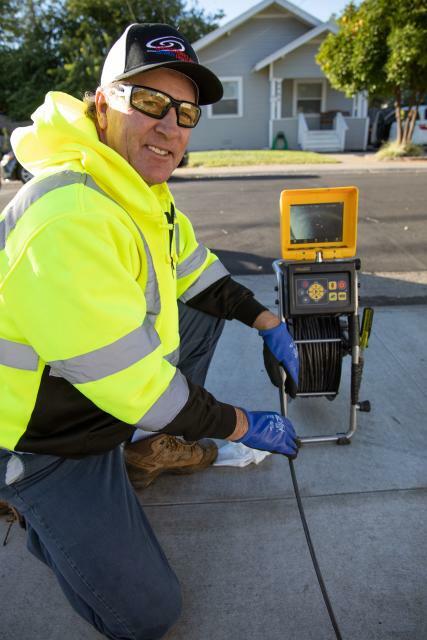 Measures sewer overflows originating within SASD’s system per 100 miles of sewer main lines in any calendar month, regardless of the volume or whether the sewage enters a waterway. 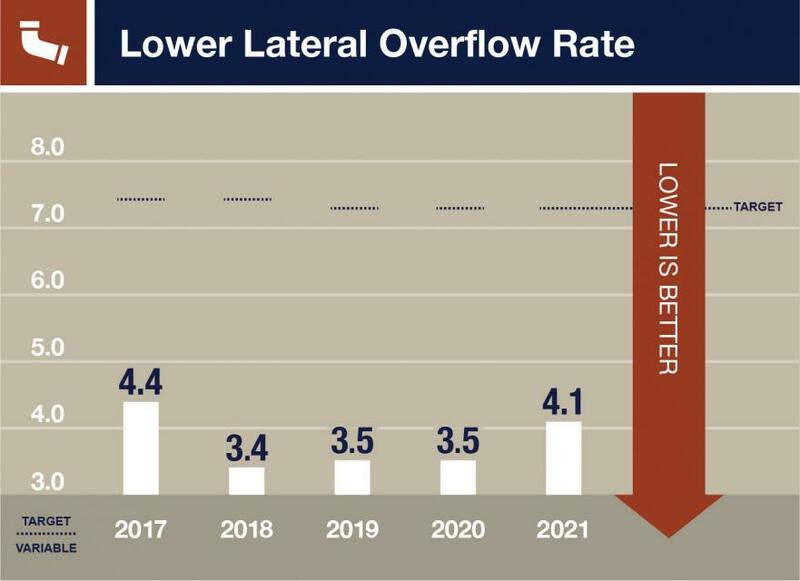 It takes into consideration the fact that a larger system, similarly managed, will experience more overflows than a smaller one. A set value of 0.45 sewer overflows per 100 miles of sewer main lines. This target reduces each year. 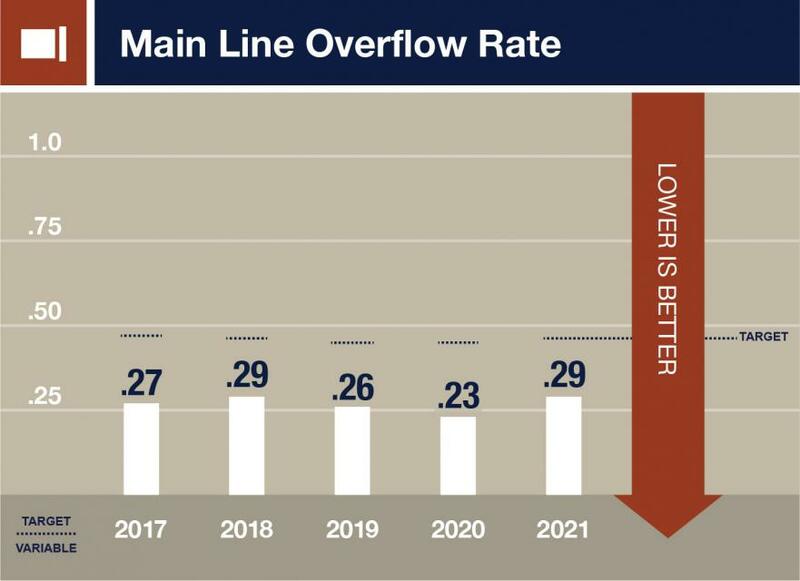 Measures the number of sewer overflows originating within SASD’s system per 100 miles of lower laterals in any calendar month, regardless of the volume or whether the sewage enters a waterway. 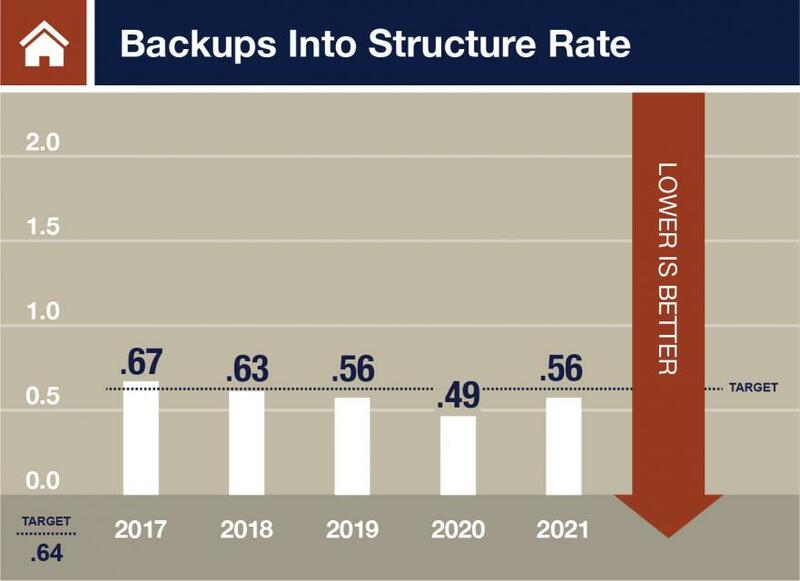 It takes into consideration the fact that a larger system, similarly managed, will experience more overflows than a smaller one. A set value of 7.4 sewer overflows per 100 miles of sewer lower lateral lines. This target reduces each year. We're committed to you—our customer! Help keep your sewer flowing!